On the off chance that you need an aircon system that you can trust for number of years, LG is the brand to pick other than Samsung, the Korean brand. Prestigious globally for their scope of customer’s gadgets, they are inventive for their configuration in air conditioning. Should anything happen to your LG aircon unit in Singapore, our LG servicing technician are ready at your service. There are many things that could turn out badly with your air con system. Coolant leak could be unsafe if they bleed off and your family takes in the gas. Dirt and grime can gather on the condenser or compressor parts, which make them overheat. Electrical fault on the circuit board may cause your aircon switch itself on and off. These issues are not as much as desire in the sweltering Singapore heat. It’s crucial to address any issues straight away for comfort reasons, and better to keep your air-con working. Our LG service technician can perform periodic cleaning and maintenance according to LG specification. Chemical washing for your LG air conditioner can flush out the stubborn dirt or algae growing on your air-con fans and fins. Similarly, as with the consideration of a family doctor, our LG service technician perform checks that are taking care of your aircon inverter unit. These checks will keep your air con working in proper condition, so as to keep it from getting into major system breakdowns. As a world recognized organization other than Mitsubishi, Daikin and Panasonic, LG are trusted by millions. Their aircon system has been utilized by many throughout Singapore to beat the vast humid weather. LG Air Conditioner highlights the following issues for user concern. Upon turning on the aircon, there is a running water sound coming from the aircon unit. It is normal as the aircon refrigerant is running within the aircon pipe. Sound will go lower when it reaches desired cool temperature. Water leaking from aircon indoor unit may be caused by the drain backflow. Please check for drain blockage. If water is collected at the end with a bucket, please ensure the hose/pipe end is not submerged into the water. Water leaking from aircon compressor might be caused by the condensed droplets formed by the temperature difference between the aircon gas pipe and the ambient. It is considered normal. Loud noise from indoor fan coil is one of the sign for aircon filter cleaning. Blocked airflow create that restraint sound. Please remove the aircon filters, wash and dry them properly before putting them back. Loud noise from outdoor aircon compressor must have come from the compressor itself. Leveling the compressor is important. If unleveled, vibration may cause loud noise. You may put rubber stub below its stand to level it. 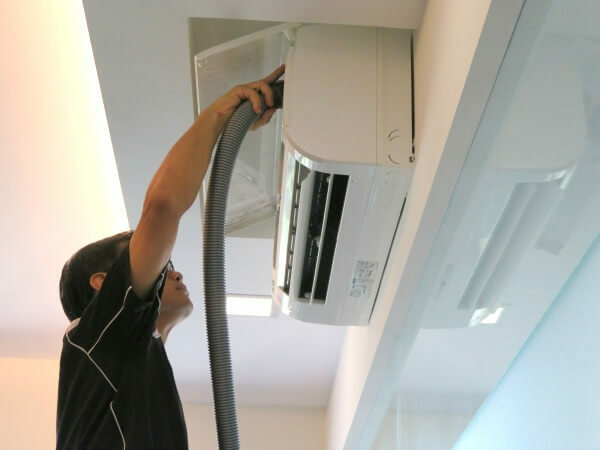 Despite all the effort and the above issues still persist, you may contact our aircon servicing company in Singapore. 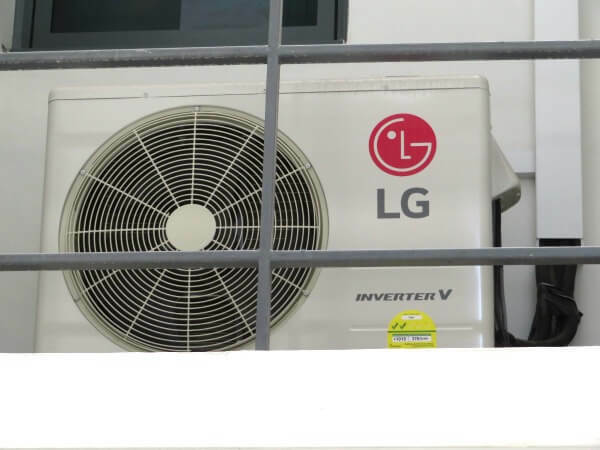 Our LG aircon pro can clean, chemical wash, repair, maintenance, overhauling, and resolve any issue you might have with your LG air conditioning unit.